You can be the most famous, revered person in America… and still face substantial Los Angeles DUI penalties. No one is above the law. Case in point: consider that the fate of 37-year-old ex-NFL quarterback, Donovan McNabb, who recently completed a one-day jail sentence in Arizona for a 2013 DUI charge. Police pulled over the former QB on December 13 at the Salt River Pima-Maricopa Indian Community, near Phoenix. 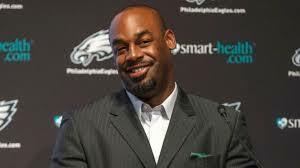 The police report said that McNabb had been driving 81 miles per hour in a 65 MPH zone at around 3 in the morning on the Loop 101 freeway. At the time of arrest, the media did not publicize McNabb’s stop. So when the Maricopa County Sheriff’s office released the picture of the QB’s mug shot earlier in the week, the blogosphere (and mainstream media) jumped on the story. The resolution of McNabb’s case brings up the critical issue of expungement. With a DUI on your record, you may find it harder to get hired. An expungement can reduce the likelihood that you will face enhanced charges, if you ever get arrested again for DUI or other charges. California statutes set the criteria for expungement, and these criteria can be complex and dynamic. For assistance trying to develop a defense against a Los Angeles DUI charge or expunging a charge from your record, call attorney Michael Kraut of the Kraut Law Group today to schedule your free consultation.